Caroline and Adam’s engagement session was simply epic. We were fortunate enough to have access to some beautiful property in Sonoma and we took full advantage of it. 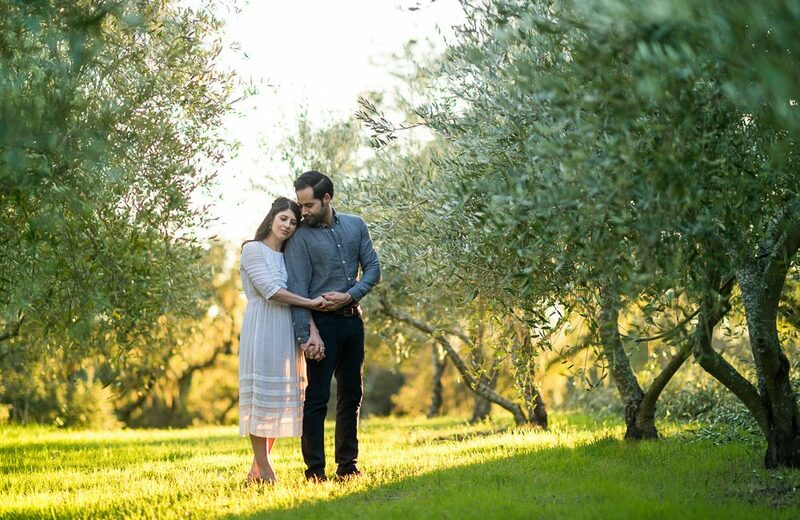 From hidden clearings in old bunches of trees to sunsets within olive orchards, we explored it all. And the entire time, Caroline and Adam had a blast. When I had them talk to each other, they had great conversations that I felt bad interrupting. When they were having fun and laughing, it wasn’t forced at all. When they got close and more serious, they were completely comfortable, both with each other and with me. To sum it up, they were super easy to photograph! I am so excited for their upcoming wedding. Not only is it going to be amazing to spend an entire day with Caroline and Adam, but the location they’ve chosen is awesome! Until then, enjoy some photos from their engagement session.